Take a Network Break! 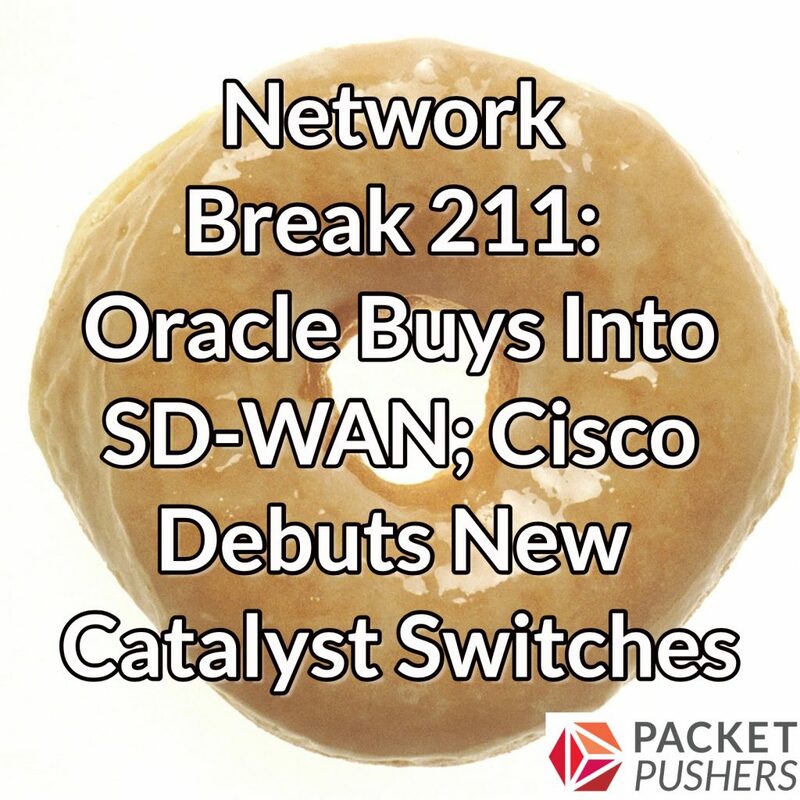 Oracle buys into SD-WAN with its acquisition of Talari Networks, Cisco moves its CCIE test site to Texas and announces new Catalyst switches that can be controlled by DNA Center. Cisco also bundles new features into its SD-WAN line, a Nigerian ISP makes Google unreachable with a BGP misconfiguration, and Micron introduces new flash drives designed for autonomous cars. BlackBerry shells out $1.4 billion to acquire end point security company Cylance, Cisco has a sterling fiscal quarter, Dell ups its offer to VMware tracking stock shareholders, and Fibre Channel rolls on with a new 64G standard. VIAVI takes a user-centric approach to performance monitoring. Its Observer Platform helps you spot network, application and VoIP problems before they affect your users, and provides high-fidelity forensics to help you troubleshoot faster. Find out more at viavisolutions.com/packetpushers. Stay tuned after the news to hear a sponsored Tech Bytes conversation with First Bank. We discuss how the bank simplified its WAN edge and cut costs by moving away from MPLS with an SD-WAN solution from Silver Peak.